Okay, let’s be honest. I am a casual genealogist. I’ve done enough of my family history to know where the holes are in my family tree, but sadly I don’t spend as much time as I’d like throughout the year developing my family tree. That means I know fairly well in what cities, counties, provinces, states, or countries my paternal and maternal ancestors have histories or roots. I’m always, at least subconsciously, keeping my family antennae attuned to sources online and around me that might give me quick success in light of my hectic lifestyle. It’s sort of like the allegory of the lazy man fishing with a mere bobber and bait. Online volunteers and genealogy companies create a continual river of fresh flowing data for family historians to fish for ancestors. Instead of constantly casting my line and retrieving or moving up and down the river for hotter spots of activity, I keep my line in the water and occupy myself with other priorities, always keeping a quasi-watchful eye on my bobber for any subtle or abrupt movement signifying some action or hit on my bait. Then I jump into action and try to reel in my prize. My approach to family history is similar. I subscribe to FamilySearch weekly collection updates, and monthly I’ll glance at new collections on other websites such as Ancestry.com, MyHeritage.com, or AmericanAncestors.org. These sites collectively add millions of new records online weekly. Sometimes they’ll send me an email prompt, or if I log in I might see a shaky leaf or illuminated hint icon. In most cases, these hints are pretty accurate and give me welcome new tidbits or clues about my ancestors. Take for example my paternal line. 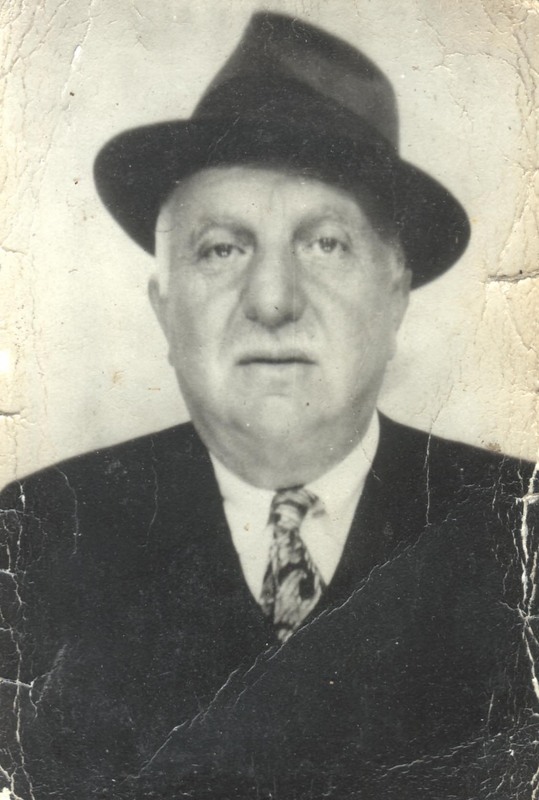 My grandpa Antonio DiNauta (anglicized as Tony Nauta) migrated to the United States in the early 1900s. The rest of the family remained in Italy, where I’ve focused my searching. He married Teresa Benvenga (anglicized as Theresa Bomenka). I know lots about my Grandpa DiNauta, but I know very little about my Grandma Benvenga’s forebears. They have proven very elusive. In my “lazy fishing,” I noticed in a weekly update that FamilySearch.org had published an index for the 1925 New York state census. I thought to myself, “Hey! I’ve got a possible nibble!” I quickly went to the online collection and looked up my grandparents, who I knew were living in New York in 1925. Sure enough, I found my grandparents living in Staten Island, New York—no revelation there. But I quickly looked at the attached image for other members of the household listed and found a person previously unknown to me. “Antonette Rota, 79 years of age, aunt to the head of the household,” the census image read. I knew my grandpa didn’t have an Aunt Antonette Rota, so this must have been my Grandma Benvenga’s aunt! I had a new clue to the mysterious Benvenga branch! Antonette could possibly be the sister to one of my Grandma Benvenga’s parents—the mystery branch of my family tree! Thanks to the power of a new indexed record collection online, I am now off to reel in the prize with a fresh bit of information and a new addition to fit in somewhere on my family tree. Millions of online patrons like me are the beneficiaries of hundreds of millions of new names indexed and made readily discoverable online every year by online volunteers or through FamilySearch partners. To pay the gratitude of personal discovery forward, I make it a point to help by personally indexing at least a couple of batches a few times a year online at FamilySearch.org. After all, even a lazy fisherman has to get up, stretch, and change his routine on occasion. Learn how you can help people like Paul discover important details of their family story. Watch the video.